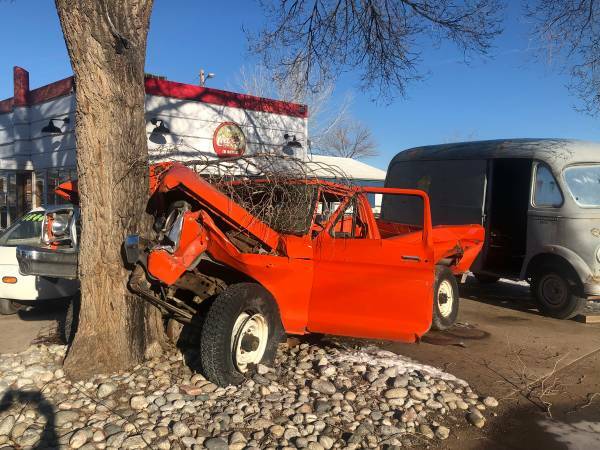 Colorado Auto & Parts has 40 acres of vehicles available for parts. We have hoods, fenders, doors, door glass, windshields, back glass, trunks, etc. Our parts are OEM parts. Maybe even the right color. SAVE MONEY when fixing your vehicle, recycle, reuse, renew. All make, models and years. Why buy new when used will do just fine and save you money at the same time! Buy from an established automotive recycling business, Colorado owned and operated since 1959! We have over 25 acres of vehicles 1930-2017 available for parts. We are the Original-U-Pull-It and our admission is always FREE. We have a self service area, Classic area, full service, parts warehouse. 2500 vehicles available for parts and inventory changes daily. Colorado family owned and operated since 1959. We are the home of the now famous Plymouth Air Radial Truck aka P.A.R.T. We CRUSH the Competitions prices.... We drastically reduced prices on a huge variety of parts in our Self_Service Yard....You can view and browse this price list at www.coloradoautoparts.com. So remember next time your in need of a part for a car/truck/van or SUV come on down, pull your own and save $$$...Classic and Full Service prices will save you time and money, too. We can even help you find the part you are looking for. Chevrolet, Ford, Chrysler, Dodge, Plymouth, Buick, Pontiac, GMC, Honda, Toyota, Subaru, Mazda, Mercedes, BMW, Jeep, Cadillac, Saturn, Kia, Audi, Nissan, Hyundai, Isuzu, Lexus, Lincoln, Mercury, Oldsmobile, Saab, Suzuki, Volkswagen, Acura, AMC, Geo, Infiniti, Jaguar, Landrover, Mitsubishi, Volvo etc. We also have parts for Motorcycles, Trailers, Motorhomes, Campers. Colorado owned and operated for over 59 years, with generations of experience.